2x Acerola - Natural dermocosmetics and dietary supplements. Collagen creams. Contains acerola fruit extract. No unnecessary additives. 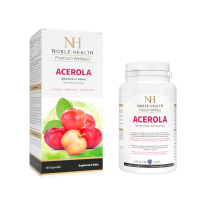 Acerola is a diet supplement designed for people who want to protect themselves from oxidative stress, to take care of proper functioning of the immune system or to maintain proper psychological functions. It helps to regenerate the reduced form of vitamin E, protects cells from oxidative stress, improves iron absorption and contributes to maintaining proper energy metabolism. It helps in the normal functioning of the immune system and contributs to reduceing the feeling of wearyness and fatigue. Helps in the proper functioning of the nervous system and in maintaining proper psychological functions. It helps in appropriate collagen production to ensure proper functioning of: skin, blood vessels, bones, cartilage, gums and teeth. Prevent oxidative stress, thanks to vitamin C straight from nature! 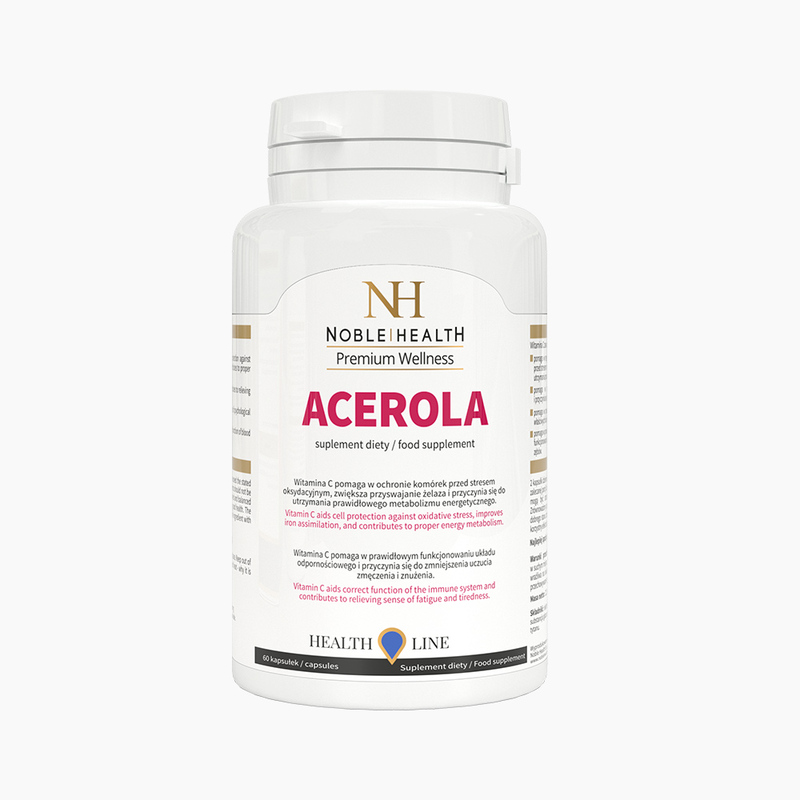 1. Who is Acerola product for? 2. 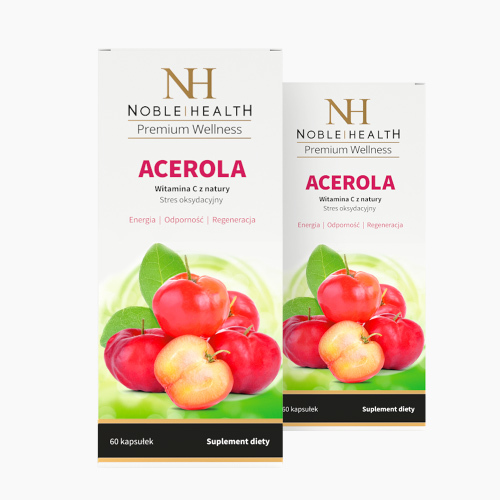 What is the composition of Acerola? Ingredients include: acerola fruit extract (Malpighia globra), glazing agent - hydroxypropyl methylcellulose, dye - titanium dioxide. 3. 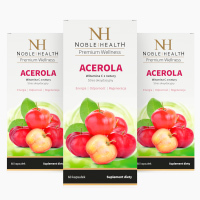 How do the ingredients of Acerola work? The product contains acerola fruit extract. The vitamin C contained in it helps to regenerate the reduced form of vitamin E, protects cells from oxidative stress, improves iron absorption and contributes to maintaining proper energy metabolism. In addition, it helps in the proper functioning of the immune system and reduces the feeling of weariness and fatigue. Vitamin C is involved in the proper production of collagen to ensure proper functioning of the skin, blood vessels, bones, cartilage, gums and teeth, and helps in the proper functioning of the nervous system and maintaining proper psychological functions. 4. How should I use Acerola? Use 2 capsules a day, preferably in the morning, with a glass of water. Do not exceed recommended daily serving. Dietary supplements can not be used as a substitute for a varied diet. A balanced diet and healthy lifestyle are important for maintaining good health. 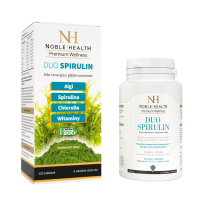 The consumption of the recommended daily portion of the product provides a beneficial effect on health. 5. How should I store Acerola? Acerola should be stored at room temperature, in a dry place, away from children. Vitamin C is sensitive to light and heat, so it is important to store the product properly. 6. How many capsules are in a single Acerola packaging? One packaging of Acerola contains 60 capsules which are sufficient for one month of use. 7. 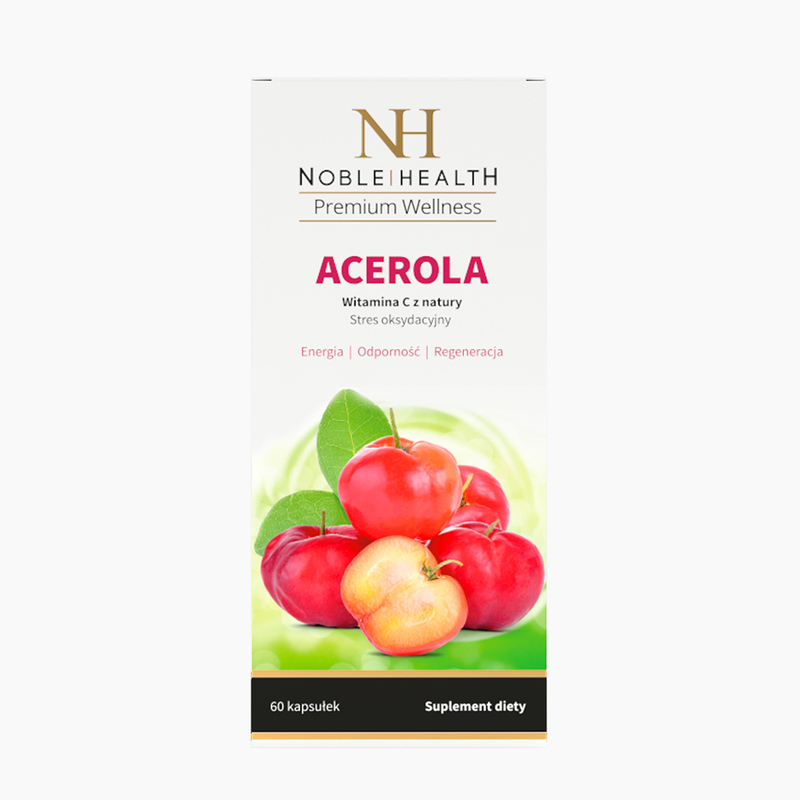 What is Acerola's net weight? The net weight of the product is 22.5 g.
I sincerely recommend to anyone who wants to make up vitamin C deficiencies. The good properties of acerola are known for a long time, so it is good that there is a product on the market that is based on it.